Our rather distinctive Tin Tin is now ready for adoption, he is a sweet boy who adores his head being scratched and loves cuddles – like any cat when he wants them. 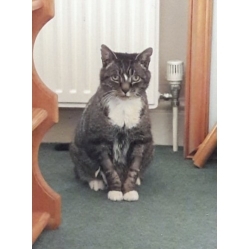 We haven’t had the opportunity to assess Tin Tin with other cats or dogs, so would recommend a new home where he is the only cat where he can enjoy his retirement in comfort. 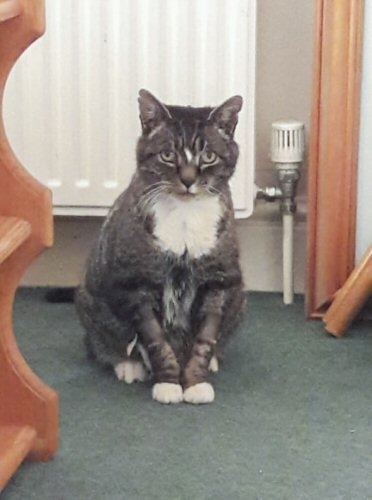 COULD YOU OFFER THIS ELDERLY LOVABLE GENTLEMAN A QUIET RETIREMENT HOME ?